We can wait few more days for the winners of Nach Baliye 8 reality show on star plus channel. After completing 7 successful seasons they have started the eight season on 2nd April 2017. The show started with 10 jodies and now 3 of them reaches the finals. star plus will lair the finale episodes on 24th and 25th june 2017. enjoy the finale episodes at 7.30 p.m only through star plus. they will soon start the auditions of season 9 of Nach Baliye hindi dance reality show. Karan Tacker and Upasana Singh are the presenters of the show nach baliye 2017. Sonakshi Sinha, Terence Lewis and Mohit Suri are the judges of the show. we can check the contestants name who reached the finals. Utkarsha Naik and Manoj Verma are the jodies fist eliminated from the show. they are at 10th place and Amanjot Kaur and RJ Pritam Singh at 9th place. Monalisa and Vikrant Singh Rajpoot eliminated from the show on 7th may and Bharti Singh and Harsh Limbachiyya placed at 7th. next eliminations are Aashka Goradia and Brent Goble, they are at 6th place of the show. 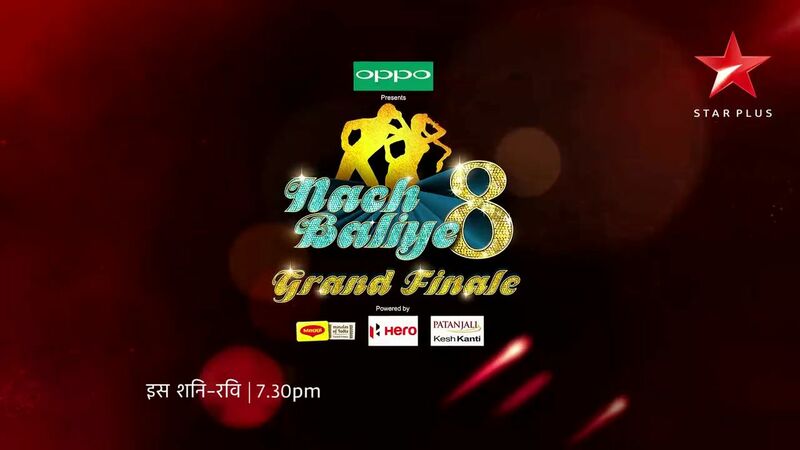 Live actions of naach baliye season 8 can be watch through hotstar application. stay tuned star plus for the final moments by your favorite contestants. wait for the auditions of naach baliye season9 on star plus. they are launching an new serial named aarambh from this saturday. we have published about the cast and crew, telecast date etc of aarambh here.